St. John Street is the only surviving Georgian terraced street in central Manchester and forms the heart of the surrounding Conservation Area. The boundary of the Conservation Area follows Artillery Street, Longworth Street, Camp Street, Culvercliffe Walk, Lower Byrom Street, Quay Street, and Byrom Street. In 1745, the St. John Street area of Manchester was mostly used as a gun park, an event commemorated in the name Artillery Street and identified on a plaque on the wall of no. 15 Byrom Street. A Georgian church was built in 1769 by Edward Byrom and stood on the site of what is now St. John’s Gardens. The churchyard contains a remarkable number of remains of some of those who are associated with the rise of Manchester as a world-leading industrial city. It has not been documented or known exactly when St. John Street was laid out. However, it is assumed that the houses were built between 1770 and 1830. Not all the street was built up by then, as the 1850 map shows the site of no. 9 to be a timber yard. Early residents represented a broad mix of occupations but over time occupancy became almost exclusively connected with the medical and legal professions. Consultants and specialists still comprise the majority of occupants in St. John Street today. The houses in front of the street were built for the middle class and professional people, whilst the back streets behind were where workers lived in very small dwellings. Often these smaller dwellings were poorly constructed and have long since disappeared, becoming gardens and courtyards to the surviving larger houses. The politician and reformer, Richard Cobden, lived in the Georgian house on the corner of Quay Street and Byrom Street. Later under the will of John Owens, a wealthy textile merchant, it was purchased and opened as Owens College in 1851. Later still it became the Victoria University of Manchester. The house was used as the County Court from 1878 until 1990. John Owens, with his parents and brothers, was buried in St. John’s Churchyard. Although St. John Street is situated in the city centre, the area is surprisingly quiet considering the proximity of heavy traffic on Deansgate. Most of the buildings in the area appear to be in active use, and it is understood that owners must maintain or refurbish their properties to meet prevailing standards. The old gas lanterns have been replaced by much taller and more powerful electric lights, creating a different effect in the streets. Cleaning of buildings, which was carried out around 1970, made a dramatic difference to the appearance of the street, restoring its overall colouring to the traditional red-orange brick of Manchester. The street remains level along its length from Deansgate to Byrom Street, though the latter slopes gently down to Quay Street. At the west end, the view along St. John Street was originally terminated by St. John’s Church, now replaced by a formal garden containing a central memorial. Looking eastwards there is no evidence to indicate that there has ever been a specific focal point to punctuate the view. Georgian properties here have given way to a long row of Victorian shops and offices which screen the former Deansgate Goods Station. The house occupied by Richard Cobden was larger than any on St. John Street and had an extensive garden. Following occupation by the County Court, the garden has become totally developed with buildings. One of them erected in 1896, and Byrom House a 1960s office block on an adjacent site, front on to the narrow St John’s Passage. This route provided pedestrian access between Byrom Street and Lower Byrom Street, alongside St. John’s Churchyard, vehicles being barred by cast iron bollards at both ends. Interestingly both sets of bollards are listed for their architectural or historic interest. The passage is paved with stone flags and has stone steps at the west end leading down to Lower Byrom Street. Pavements in St. John Street are also surfaced with stone flags, but the contrasting textural character of the carriageway has been replaced over the years. In 1972, car parking arrangements were reorganised, allowing cars to park at near right angles to the street. To soften their visual impact, trees were planted and together these items have significantly altered the original concept of the street’s urban appearance. Trees have now replaced the demolished church in ending the view down the street. St. John Street is a wide street by Georgian standards and this contrasts sharply with the narrow back streets such as Artillery Street, Culvercliffe Walk and Longworth Street, which provided access to the workers’ cottages. The character of these streets contrasts with the tranquil spaces of the gardens, particularly St. John’s Churchyard. The contrast is significant in the hard materials of the streets and the soft trees and shrubs in the gardens. St. John Street has changed very little since being built. Generally, owners have ensured that regular maintenance has preserved the quality of the street. However, a facelift in 1963, partially funded by the City Council, was carried out which involved replacement of incompatible items such as windows and nameplates. Painting of timberwork helped re-establish consistency throughout the street. No.15a Byrom Street is a late 18th-century house with an interesting oriel window supported on a large corbelled bracket. The houses further south on Byrom Street (nos. 25 to 31) are of similar date to those on St. John Street. These, however, have Gothic door-cases, a decorative style with ogee arches originated between 1750 and 1770 by Horace Walpole, the writer, and son of Britain’s first Prime Minister. In the mid-19th century no. 24 St. John Street clearly contrasts with the other typically Georgian buildings in the street. It is higher and more elaborately detailed, with banded rustication on the ground floor, windows framed with architraves, a bracketed cornice, and stucco finish. Curiously the house at no. 24a was built later than no. 24, but in a style to match the original Georgian houses on St. John Street. The remainder of the houses have plain brick facades and simple vertically-proportioned sash windows with narrow glazing bars. They are set well back from the brick facades to create a rhythm of three-dimensional modelling. The only decoration on these houses is around the doors: pedimented Tuscan door-cases with panelled doors and semi-circular fanlights above. St. John Street Conservation Area is intensely built up, leaving little opportunity for further tree planting. Aside from St John’s Gardens, there are some trees in private gardens and some along the street. Anyone wishing to fell, prune, or uproot a tree needs to check that it is not covered by a Tree Preservation Order and should seek permission from the local planning authority first. Although planting of suitable species in appropriate locations and replacing older trees is being encouraged, contact with the local planning authority must be made before carrying out any work. The existing historical buildings of the St. John Street Conservation Area require careful and regular maintenance to ensure that their unique character is not affected. It is preferable that each one should keep it vital elements which reflect the period in which it was built. However, it does not mean that the new structures need to be an imitation of older buildings. Designers have the opportunity to create a proposal design which respects the architectural character of the existing historic buildings but are advised to use the preferable solid traditional material such as stone, brick and timber to construct their designs. 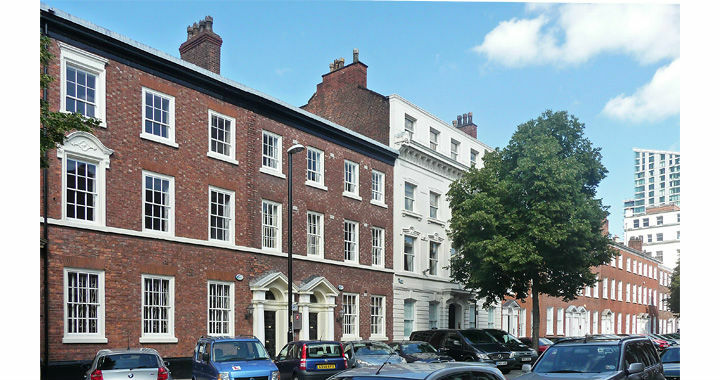 At yoursashwindows.com we have successfully installed, repaired and refurbished tens of thousands of sash and casement windows in Conservation Areas, Listed Buildings, commercial and private property throughout Manchester and the UK. From our reputation, we are in a strong position to offer sound and impartial help and advice on conservation and planning in your area. Customers can rest assured they’ll be working with a team who take great pride in their contribution towards lasting heritage. If you want to restore, refurbish or replace your property’s period joinery you can call 0333 600 0196 or contact us by emailing enquiry@yoursashwindows.com.